Explored a ravaged, dystopian future in a combat-driven action adventure designed exclusively for virtual reality. 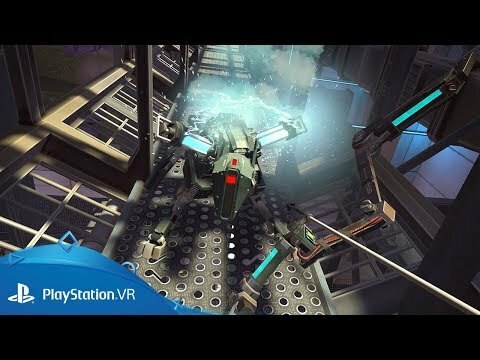 Travel to the shattered future of Apex Construct, where merciless robots prowl the world as a result of mankind’s reckless experiments. As these synthetic creatures seek to dominate their new hunting grounds, you must use both your wits and combat skills to survive. In this atmospheric first-person action/adventure game, built exclusively for VR, the fate of mankind rests on you – the last human alive. Use a flexible weapons system with unparalleled precision to engage a wide array of artificial lifeforms created by a mysterious entity called Mothr. Replay any mission from your customisable home base to uncover hidden paths, spend acquired resources to upgrade your weapons and equipment, and display your hard-earned achievements for fellow adventurers to see. Steel your nerves for an unforgettable psychological horror experience, exclusively on PlayStation VR.